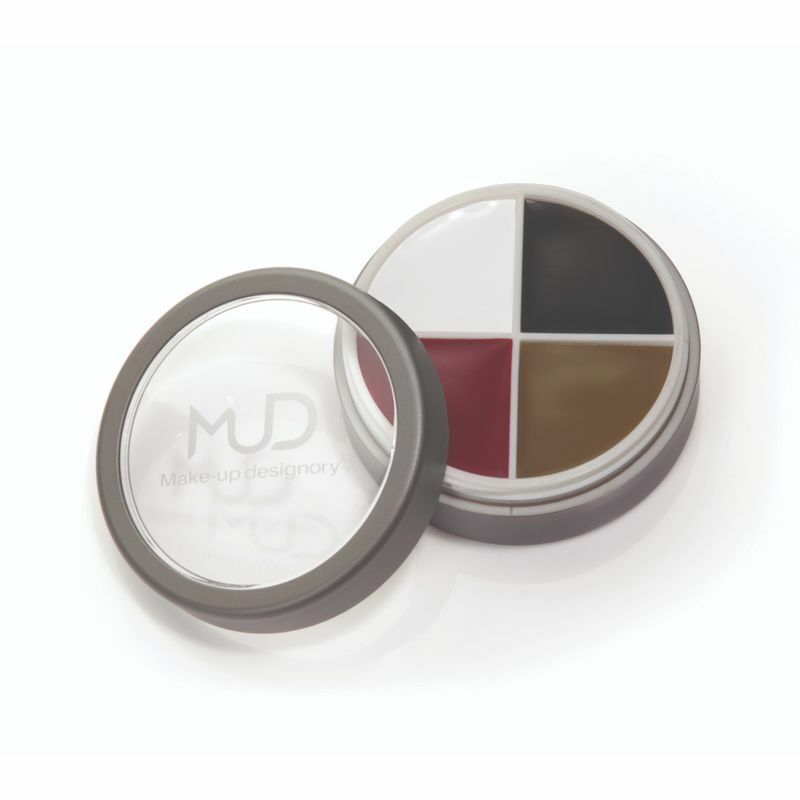 MUD Character / FX make-up is a versatile series of colors used to create a wide range of effects and characters. Produce innumerable character options by creating dramatic looks using the colors as they are or by mixing them. A combination of these colors can be used to create cuts, burns and aged injuries such as bruising. Includes Black, White, Olive Green and Red shade creams. Custom-blend to create dramatic looks.